Munich is the third largest city of Germany. It took its name from the monks of Benedictine order who founded it Munich, is a place where every visitor enjoys spending time that is why the city's moto München mag dich" (Munich likes you ) matches perfectly with the whole concept of the city. 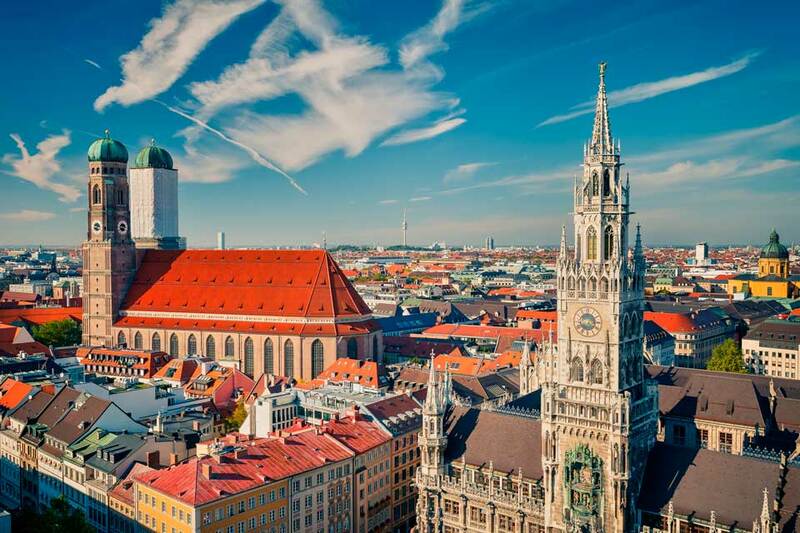 Munich is an extremely organized place that is why it is not only ranked among the top travelling destinations, but also ranked as the one of the most suitable cities for everybody who desires to relocate it is in one phrase the city of chances. The city is like a painting full of diversities. You can see monuments of great historical value enjoy the best beer, but also see from up front the most difficult period of history. If you are the inpatient type of tourist who wants to see every part of the city as soon as possible and take advantage of every available minute, stop searching which is the best solution and visit our website www.vanrental24.com Van hire will make your journey a dream from which you will not want to wake up from. You and your friends know the secret for the perfect sightseeing tour in and out of the city. Minivan rentals will take you to the famous Marien Platz which is located in the centre of Munich from there you can have a full aspect of the city and also other important monuments , the Marian Column topped with the golden statue of Virgin Mary, and the Old and the New Town Hall of Munich. You cannot say you have visited Munich if you haven't stop for a visit at Frauenkirche- Cathedral of our Blessed Lady This late Gothic style built to brick cathedral is the landmark of Munich and has a capacity of 20.000 people. The town hall along with the two towers of the cathedral create a wonderful imaginary triangle. The practices and tactices of the third Reich revive in front of the visitor's eyes as soon as he comes close to Dahau's Concentration Camp , one of the first concentration camps. The visitors follow the “ path of the prisoner” walking the some way prisoners were forced to walk. This way they are paying a tribute to those who lost their lives there. If you are a lover of open Market you will certainly appreciate the Victuals Market wonder around the 140 colorful booths and find a big variety of fresh vegetables and local products. Make a stop at the Residence palace of Munich today the palace has been converted into one of the best European museums of interior decoration Furniture, porcelain, tapiseries prove that classical beauty never dies. If you want to drink real genuine beer visit one of the local beer Halls in Munich you will have the chance to taste local specialities and see with your own eyes what Bavarian hospitality is all about. An important remark is that those you come here for business see the city with a different eye they want to go everywhere fast and without delays and at the time prepare what they are going to do next. This possibility with the classical mediums of transportation cannot be fulfilled but with Van Rentals who can work discuss with your partners and travel.